Epoxidation is the addition of a single oxygen atom across a C=C double bond. Earlier, we saw that alkenes can donate their pi electrons to electrophiles such as "Br+". In the bromonium ion that results, a lone pair on the bromine can donate back to the incipient carbocation, leading to a more stable intermediate. We have also seen that addition to alkenes can sometimes be concerted, happening all at once, rather than one step at a time. For example, in hydroboration, the boron and the hydrogen add to the double bond at the same time. The boron is adding just slightly ahead of the hydrogen. The initial interaction is donation from the pi bond to the Lewis acidic boron. However, as soon as positive charge starts to build up on carbon, and negative charge starts to build up on boron, the hydride is immediately donated. Time is not allowed for the charged intermediate to fully form before proceeding. Really, that's what is happening to the bromine, too. As the alkene starts to donate its pi electrons to the bromine and begins to build up positive charge, the bromine's lone pair is drawn back to the alkene. As a result, the intermediate that we imagine with a full positive charge on carbon and no charge on bromine exists too fleetingly to be considered an intermediate at all. As soon as it begins to form, it is already turning into something else. That sort of concerted addition happens with some other electrophiles, too. If an atom is electrophilic, but also has a lone pair to donate, that cyclic transition state can lead to the product in one step. Alkene epoxidation is another example of this kind of reaction. An epoxidation is the transfer of an oxygen atom from a peroxy compound to an alkene. Peroxides contain O-O bonds, which are relatively weak and reactive. To simplify a little bit, just look at the reaction from the point of view of the alkene. It's just picking up an oxygen atom, because the peroxide had an extra one. When the oxygen atom is transferred, it forms an epoxide (sometimes called an oxirane). It is a three-membered ring containing two carbons and an oxygen. Epoxidation results in transfer of an oxygen atom from a peroxide to an alkene. Peroxides are compounds containing weak O-O bonds. Like in a bromination, the electrophile is deceptive. It is an oxygen atom, which we more naturally think of as a nucleophile. 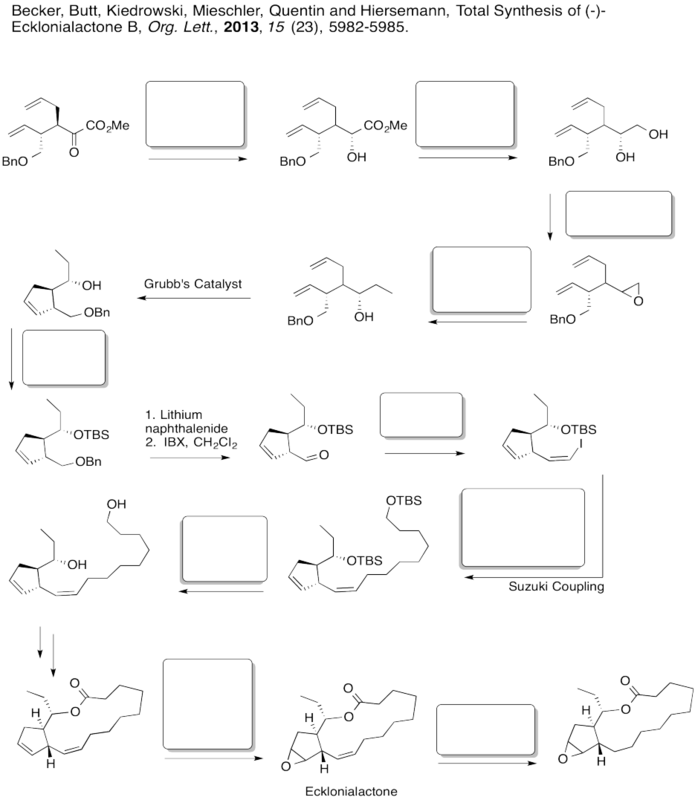 However, just as Br2 contains an atom attached to a good leaving group (Br -), so do the kinds of oxygen compounds used in epoxidation. Most often, these are "peroxy acids", carboxylic acids containing an extra oxygen. As in the bromination, as soon as the alkene begins donating to the electrophile, a lone pair can donate back, so that an unstable cation does not have to form. The entire mechanism is believed to be concerted, based on a number of lines of experimental evidence. A number of things need to be accomplished; in addition to the oxygen donation, the leaving group must leave, and a proton must be transferred. 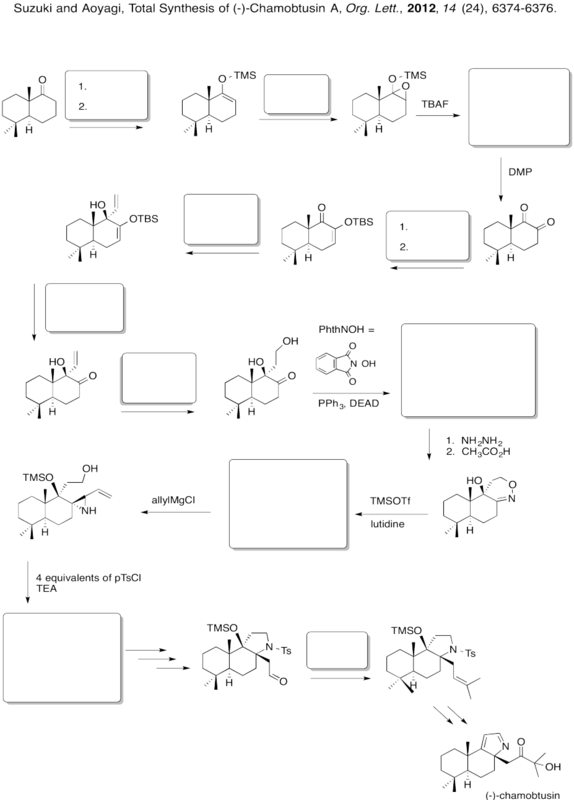 The reaction mechanism can be cleaned up slightly because it is thought to be an example of a pericyclic reaction. Pericylcic reactions frequently involving three pairs of electrons moving in a circle. Like the three pairs of electrons in a benzene ring, this structure is thought to be unusually stable. Apart from peroxy acids, many other peroxides can be involved in epoxidations, as well as some metal oxides. In some cases, the reaction is extremely slow, but works better in the presence of a catalyst. Epoxidation reactions display an almost counter-intuitive selectivity. Unlike hydrogenation reactions, which are generally easier with less-substituted alkenes, epoxidations are much faster with more-substituted alkenes. In the case of hydrogenations, the selectivity can be understood as a combination of steric factors (the alkene must bind to a catalyst) as well as thermodynamicic factors (more substituted alkenes are more stable, so they are less likely to react). However, in epoxidations, the more electron-rich the alkene, the more easily it can be induced to react with the peroxide. More substituted alkenes are generally more electron-rich than those that are substituted only with electron-poor hydrogens. The Sharpless epoxidation is one of the most common methods of catalytically adding an oxygen across a double bond. The method generally employs a titanium catalyst; similar approaches use vanadium catalysts or other metallic species. As mentioned before, metal ions can sometimes accelerate epoxidations. The Sharpless epoxidation is important partly because it selectively epoxidizes allylic alcohols: compounds containing a C=C-C-OH unit. That means that, in addition to being able to selectively epoxidize more-substituted double bonds in the presence of less-substituted double bonds, we can also select double bonds that are close to alcohols. Circle the allylic alcohol in each of the following compounds. How does the metal catalysis selectively identify that position? Remember, one of the important strategies in enzyme catalysis is approximation: the act of bringing two things together. An alcohol is a potential lone pair donor, so it could become a ligand for a metal ion. Ti4+ and V4+ happen to be very oxophilic -- they bind well to oxygen -- and so they are particularly suited for this task. In this scheme, we're not worrying about exactly how the titanium ion gets to peroxide to give up its extra oxygen to the alkene; that's complicated. However, the fact that both the allylic alcohol and the peroxide can bind to the titanium gets them closer together, and makes them more likely to react with each other. That's only part of the story of the Sharpless epoxidation. The other reason this method is important is its stereoselectivity. To get stereoselectivity, a chiral ligand is added for the titanium. It's usually diethyl tartrate (DET) or diisopropyl tartrate (DIT). Tartrate is chiral; there is a D-(-)-enantiomer and a L-(+)-enantiomer. The D and L are common symbols used to designate enantiomers in sugars; they relate the structure back to the biochemical grandparents of all sugars, D-glyceraldehyde and L-glyceraldehyde. The (-) and (+) symbols refer to the characteristics of this particular compound in polarimetry; the (+) enantiomer rotates plane polarized light in a clockwise direction, whereas the (-) enantiomer rotates plane polarized light in a counter-clockwise direction. Assign stereochemical configurations (R and S) to the tartrates to confirm that they are enantiomers of each other. If the D-(-)-isomer is added, one possible enantiomer of the product is obtained. If the L-(+)-isomer is added, the other possible enantiomer is obtained. In general, we would get one enantiomer if the oxygen were added to one face of the alkene and the other enantiomer if the oxygen were added to the other face. In the drawing below, the face of the alkene towards us is sometimes called the "re face" (pronounced, ray face). The face of the alkene away from us is called the "si face" (see face). These words sound related to R and S configuration, and they sort of are like that, but they are used to describe two different faces of a flat molecule. Adding oxygen to the re face gives on enantiomer; addign oxygen to the si face gives another. How does this preferred reactivity work? How does the metal manage to add the oxygen to one face but not to the other? Tartrates are oxygen-rich and so they bind very well to titanium. Remember, if we have a reaction site and we make it chiral, one enantiomer of the product is generally preferred. Enzymes are very compicated, chiral molecules, and they are good at producing one enantiomer of a product. By comparison, the titanium DET complex is a relatively simple chiral molecule, but it uses the same idea. Now, it is really very difficult to look at these conditions and predict exactly which enantiomer would be formed in a reaction. However, we can look at a factor that might illustrate an underlying reason for the preference. In quadrant analysis, we look at the general shape formed by that bidentate tartrate ligand on the metal. In the pictures below, the red ball is the metal atom. The tartrate ligand extends up and to the right as it sits on the metal, and also down and to the left; it is cartooned in blue. As a result, if we think of the metal as sitting in the middle of a square, alternating corners of that square are filled, and the other corners are empty. Imagine the alkene approaching that metal. The alkene will probably have a preferred orientation in which it will bind. Just for example, maybe it needs to bind with the double bond in the same plane as the ring formed by the titanium and the oxygens (horizontally in the picture). If it does that, it can reduce steric interactions with the ligand by binding one face of the alkene preferentially to the metal, keeping the biggest substituent on the alkane (the black ball) in a relatively open space. The alkene could also bind if rotated upside down compared to the first picture, but the same face would still be towards the titanium. On the other hand, if the alkene tries to bind through the other face of the pi bond, the largest substituent would be in a more crowded space. That might be less favourable. Overall, if the alkene has a preferred face that it will bind to the metal, then anything delivered from that metal will land on that face, and not the opposite one. There are lots of variations on this model. Maybe it isn't steric interactions that influence how the alkene approaches the metal. Maybe it is some other factor, like hydrogen bonding, that pulls in the alkene oriented in one direction and not another. Nevertheless, although the details of a particular case make the outcome very difficult to predict, the general idea is a familiar one: a chiral molecule will fit preferentially one way with another molecule, because of its asymmetric shape. Although you may not be able to predict off the top of your head which enantiomer is formed in a Sharpless epoxidation, given one result, you may be able to guess another. Given the reaction on the left, see what you can tell about the reaction on the right. 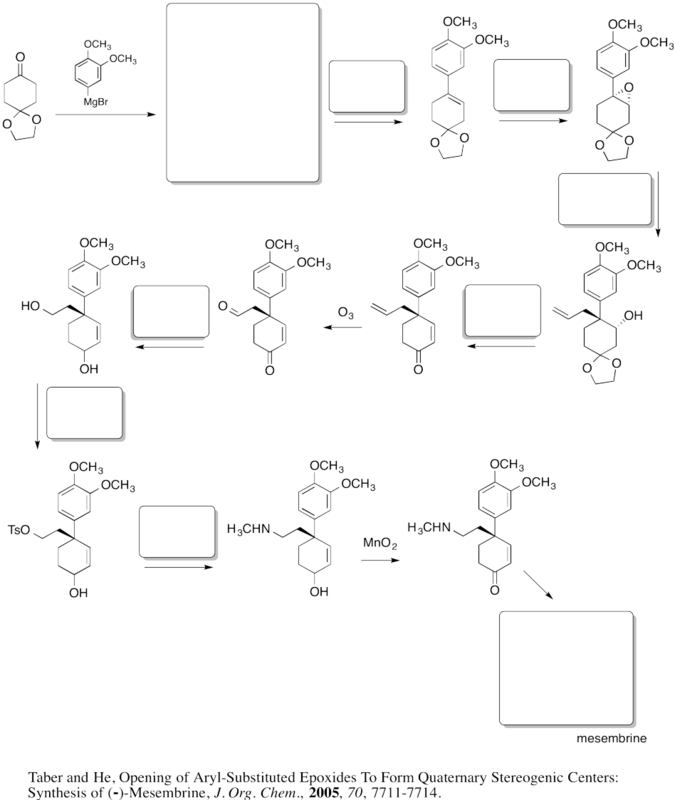 Fill in the boxes in the following synthesis.